Portsmouth West High School Anatomy and Physiology students are currently studying hematology and the cardiovascular system. Students were able to take their lessons a step further by observing the components of blood through new state-of-the-art equipment purchased for the Science Department. 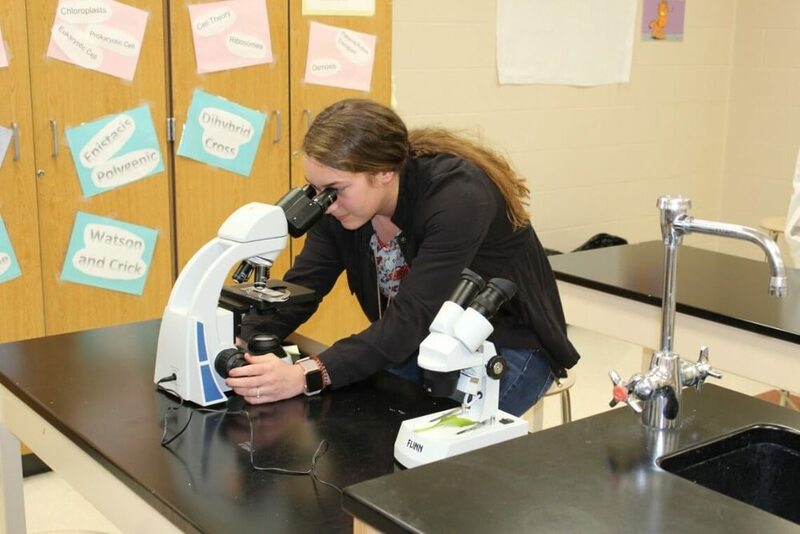 Students in Anatomy, Biology and Environmental Science will be now have access to technologically advanced microscopes and stereoscopes during labs.